JUST ANNOUNCED: Mac returns to Toronto on September 24. Please note that this show will now be taking place at Woodbine Park. Presale begins tomorrow at 10AM – use with the password WOODBINE to get your tickets early! 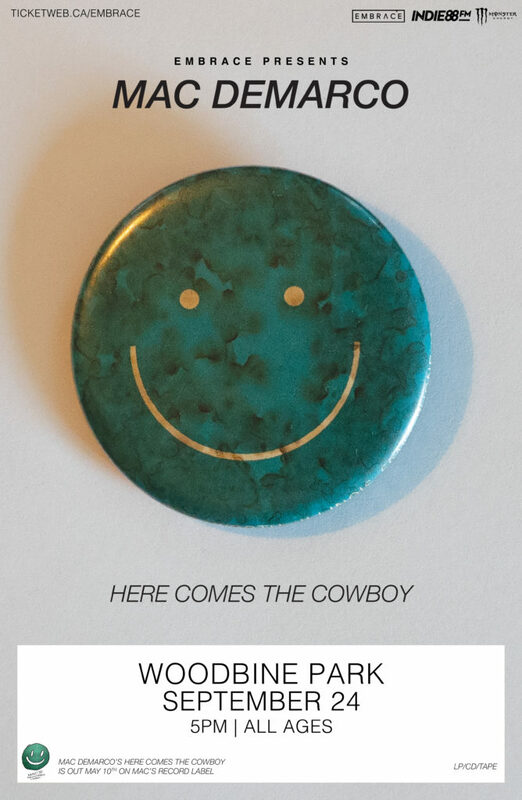 All ticket purchases include a copy of Mac’s forthcoming album Here Comes The Cowboy. Redemption codes and instructions will be sent in a separate email upon completion of your order. Next post: Mac DeMarco Shares New Single, “All Of Our Yesterdays” on Beats 1!